This tour takes you on a visit to the city of Mangalore where you will visit the Shri Manjunatha Shiva Temple at Kadri. The Shri Manjunatha Shiva Temple at Kadri is one of the ancient temple of Mangalore. 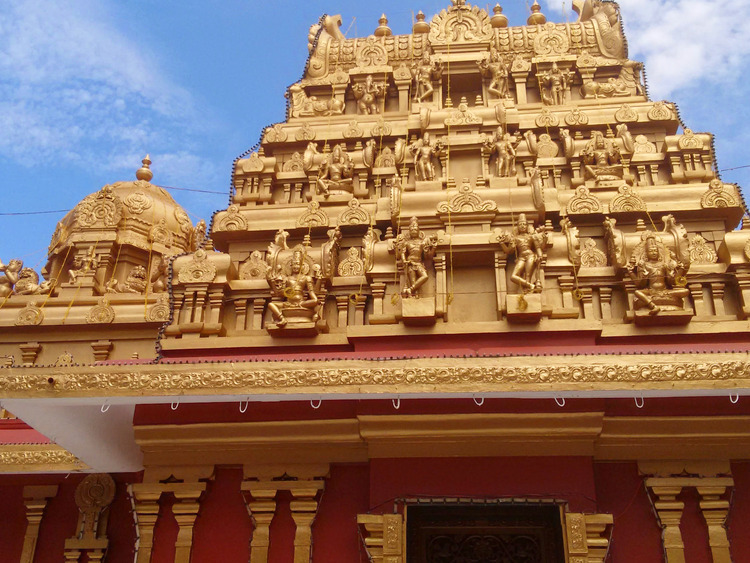 It has a Bronze statue of Lord Shiva which is believed to be the oldest in South India. It has got 9 water Tanks situated above the temple level. Further we visit Aloysius Chapel – famous for its breathtaking paintings and frescoes adorning the walls and ceilings. The Chapel was built in the year 1899-1900. The walls of the Chapel are covered with the paintings of the artist Antony Moshaini of Italy. We move to Kudroli Gokarnanatha Temple. This is dedicated to Lord Shiva built in the Chola style. Temple has white marble flooring. You will also visit a Cashew Factory and a local market on this tour. Upon completion of the tour, you will return to the pier to board the ship enroute a brief shopping halt. There are no professional guides in Mangalore. Guides are mainly English speaking students . Photography not permitted in Gokaranatha Temple, St. Aloysious Churc & Kadri Temple. Dress code at Temples - shoulder and knees should covered. No wheel chair accessibility at Temple.